Welcome to the Days Inn Vancouver - Metro! This is a wonderful property that is strategically located just 10 minutes away from Downtown Vancouver and only 5 minutes from the Metrotown shopping area. Enjoy FREE Hi-speed Internet Access as well as Free Parking during your stay. There are several restaurants within easy walking distance and we are on the public transit route. A convenient location and affordable rates are qualities that make this hotel the ideal lodging choice for the area. Whether you're staying for business or pleasure, the Days Inn is sure to meet all of your traveling needs. We are AAA approved, and a 3 1/2 Star Canada Select property. 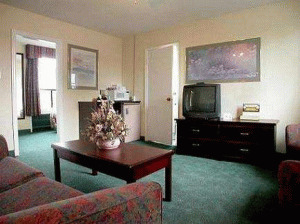 Please visit Days Inn Vancouver Metro Website.